Warehousing is at the core of our supply chain management with a centralized warehouse at Vadodara together with multiple strategically located warehouses pan India. We are able to stock our products close to market. Additionally, we leverage excellent warehousing and supply chain capabilities of our subsidiary NRF to deliver our products efficiently at various locations in Europe and the USA. 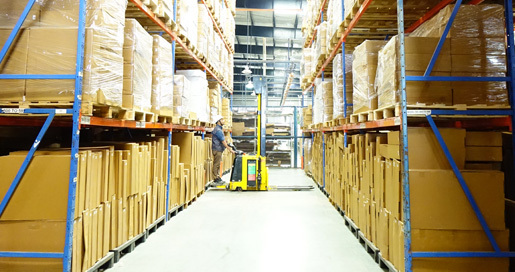 Packaging takes various forms at Banco depending on whether parts are going to an OEM’s source warehouse, the warehouse of a distributor, or to an auto part dealer. Whether parts are being delivered to the production line for immediate assembly or they are being sent to OEM’s – parts distribution centers (PDC), protection, along with minimal handling, is our top priority. Since aftermarket goods are stored for longer, with dealers, retailers and end consumers, more attention is paid to things like the aesthetics or branding of the packaging. Efficient logistics infrastructure is the key to our long standing customer relationships and consumer satisfaction. Our warehouse locations make it possible for us to make a just-in-time transport of our products via road, rail or container shipping between locations. They also enable us to avail local transport services and help us respond quickly to every shipping requests by locating inventory closest to the delivery point.